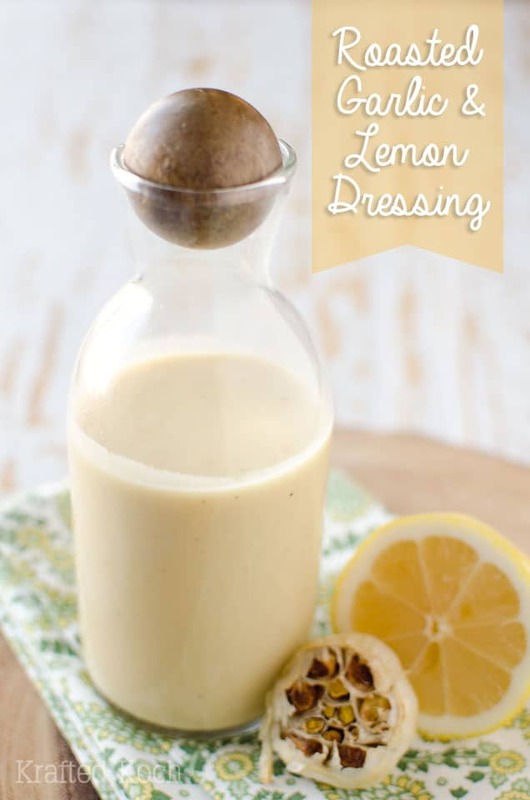 Roasted Garlic & Lemon Dressing is a healthy vinaigrette recipe loaded with bold roasted garlic and fresh lemon for the perfect salad dressing. 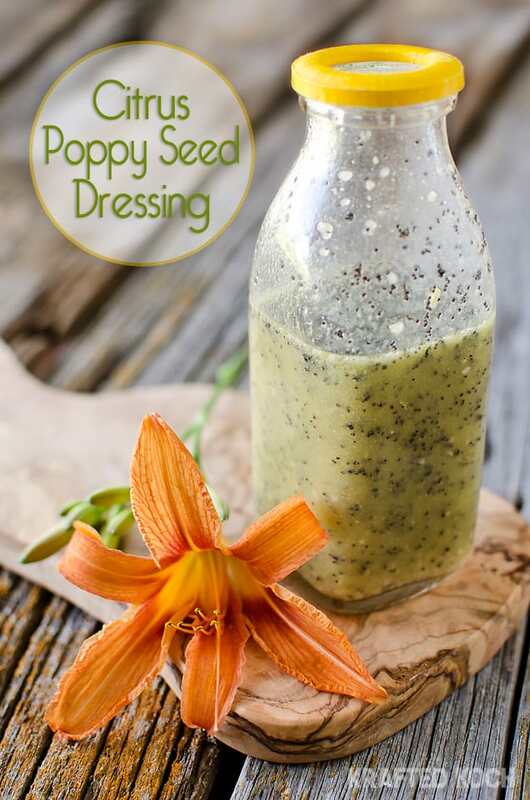 Ditch the boring store-bought dressings loaded with fat and preservatives and whip up a batch of this Roasted Garlic & Lemon Dressing for a light and delicious alternative. This Roasted Garlic & Lemon Dressing is so good that I was dipping apples straight in it and eating it up. I use this salad dressing on lots of delicious recipes for a punch of flavor, including this Roasted Garlic Apple & Chicken Burger and Roasted Squash & Cranberry Salad. 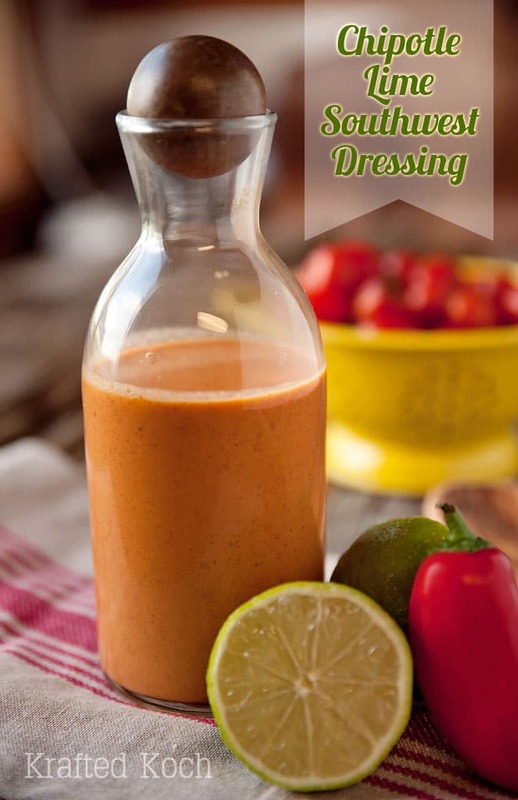 I used my beloved immersion blender to emulsify the dressing so it wouldn’t separate. 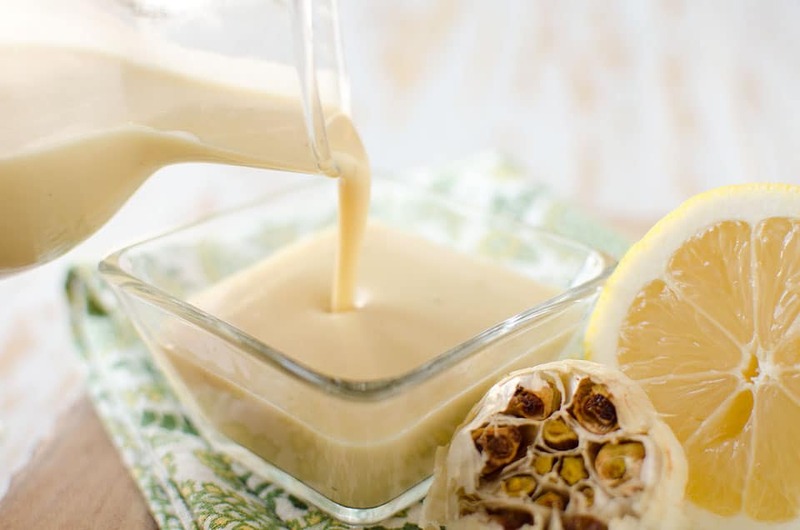 For many dressings, you can just whisk them together, but when dealing with the roasted garlic paste, it is best to blend it so it is creamy and smooth. Another important tip to remember, is to roast your garlic until it is a deep golden-brown color. If you don’t roast them long enough, you will have a very pungent garlic taste. When garlic is roasted through, it transforms the normally strong flavor into a mild and sweet flavor that is amazing! Roasting garlic is an easy but time-consuming task, so when I do roast my garlic, I do it in large batches. I freeze the extra garlic in freezer zip bags to use at a later time. 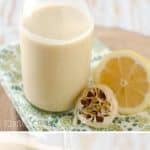 Roasted Garlic & Lemon Dressing is a healthy vinaigrette recipe loaded with bold roasted garlic and fresh lemon for the perfect salad dressing. Blend all of the ingredients until creamy and smooth. Store refrigerated for up to 2 weeks. 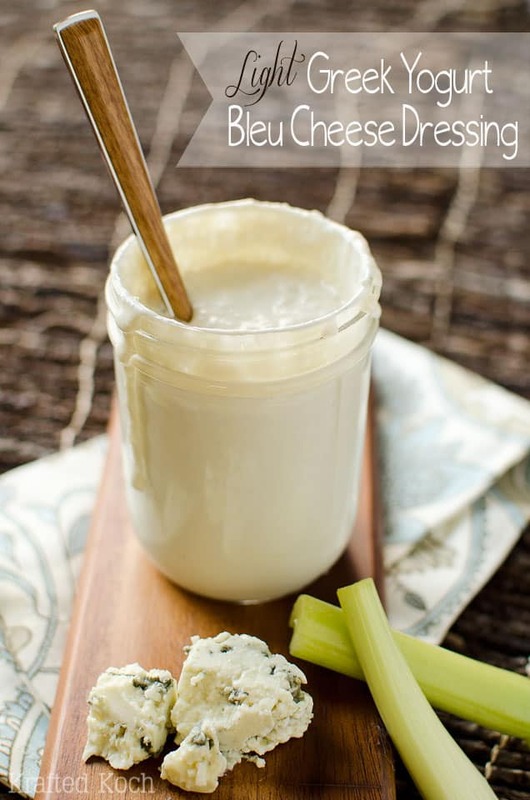 This dressing is amazing! The best part (besides being delicious)? I know exactly what went into it, fresh and homemade! Thank you! So glad you loved it Naomi!